Sally Conway was formerly the Deputy Chief, Civil Rights Division of the U.S. Department of Justice. She was assigned to the Division's Disability Rights Section, which is responsible for providing technical assistance about the requirements of titles II and III of the ADA, investigating, and, where necessary, litigating title I, II, and III complaints, and certifying state and local building codes. Holding Bachelor's and Master's degrees, she has worked in the fields of disability and civil rights for more than 20 years. Ms. Conway has conducted training sessions, workshops, and presentations on the ADA for representatives from the public and private sectors as well as people with disabilities throughout the country. Prior to joining DOJ, Ms. Conway was Program Director at Granite State Independent Living in New Hampshire. She has also worked as an investigator for the N.H. Commission for Human Rights (the state agency responsible for enforcing federal and state anti-discrimination laws), as the Director of Medical Social Work in a hospital, and as a music teacher in the public schools. 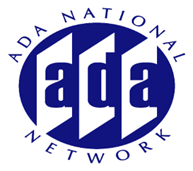 07/31/2018 - Reflection on 28 years of the ADA: What have we learned, where do we go from here?